At long last, MiG Ayesa is finally home! After years of touring the world, and swinging between London’s West End, Broadway, New York, and all cities in between plus a few Philippine stops, he’s finally home in Australia. Now, he’s back in Sydney and all set to thrill audiences in the superb production of Thriller Live at the Lyric Theatre. Shows are from 26 February to 5 March, with two shows on weekends (4pm and 8pm on Saturday, 28 February, and 1pm and 6pm Sunday, 1 March). He’s just completed Perth, Adelaide, Melbourne, Brisbane and New Zealand too. 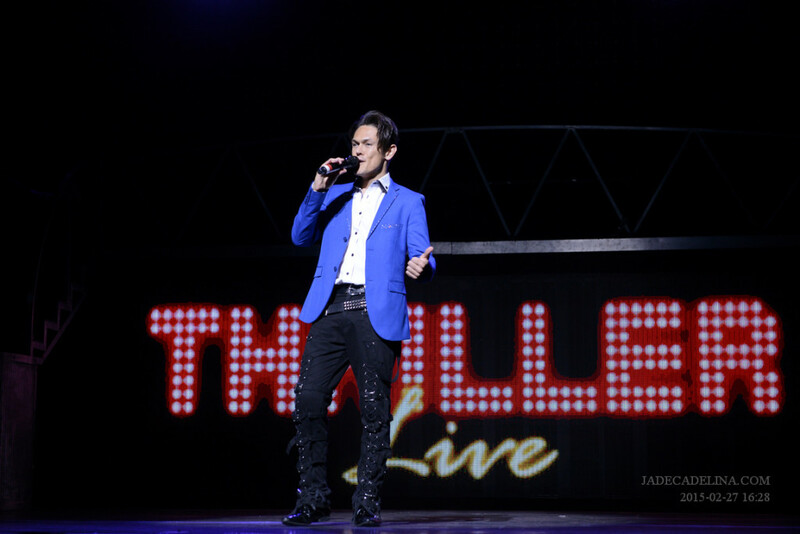 Thriller Live is a musical production featuring MiG Ayesa with Prinnie Stevens along with an international star cast. 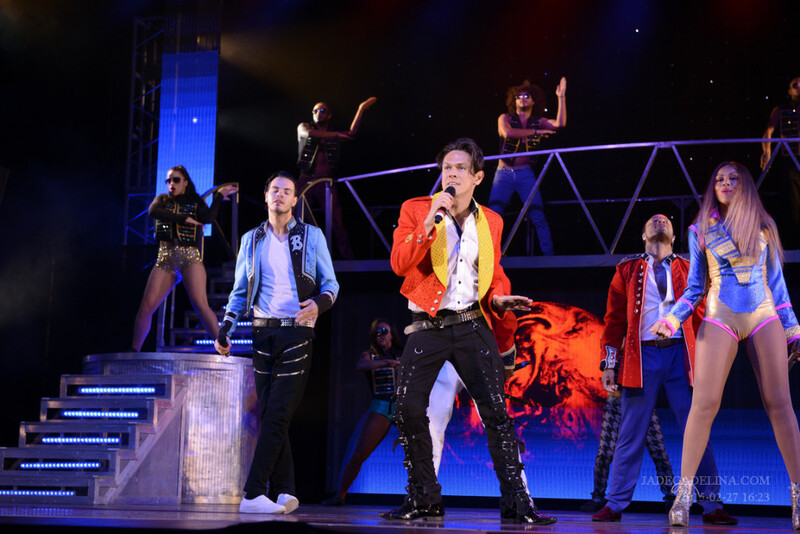 The show pays tribute to the undisputed King of pop, Michael Jackson’s music. And MiG, of course, is a Filipino, our very own! Photo courtesy of Jade Cadelina. MiG Ayesa (aka Miguel Ayesa) was born in the Philippines, grew up in Australia and found his groove in music and theatre. He is a singer, songwriter, actor and he exudes charm, wit and extraordinary talent. He was honoured in 2012 by Filipino Australian Movement for Empowerment (FAME) on behalf of the Filipino community for his exemplary achievements in the entertainment industry. The Rock Star INXS reality show had opened more doors for him in the entertainment industry and landed him a recording contract with Universal Records. Since then, he’s been charming audiences around the globe in theatre productions such as: “The Buddy Holly Story”, “We Will Rock You”, “Burn The Floor”, “Rock of Ages”,” Grease”, “Rent” and “Fame”. Even more admirable is his ability to stay totally grounded and connected to his roots. He has participated in various Charity events for typhoon victims in the Philippines, even writing and recording the song “United as One” specifically for homeland. He has also recently completed a travelogue on the Philippines “Phil It Up,” where he is seen visiting our top tourist spots, and mingling with everyday people, proving once again that it’s definitely more fun in the Philippines. So whether you’re a Michael Jackson fan or not; or simply love the music; you definitely can’t miss the Jacksons’ beat. The rhythm will captivate you and it will definitely get you up and dancing on the aisles! Who knows you may even be moonwalking by the end of the show. But more importantly, it’ll be worthwhile to savour MiG Ayesa on stage, even if it’s only for a while, this time, until his next time.